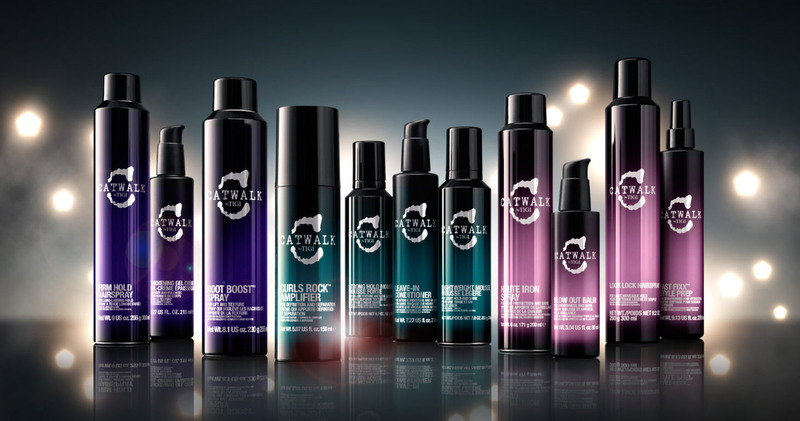 Who Should Use Tigi Catwalk Fashionista Shampoo? Is Tigi Catwalk Fashionista Shampoo Safe For Daily Use? Tigi Catwalk: Sulfate-Free Is The Way To Be! Blondie's Of The World - Unite! Tigi’s products are known all over the world for their uncompromising quality and professional roots. Tigi’s Catwalk brand was established in 1998. 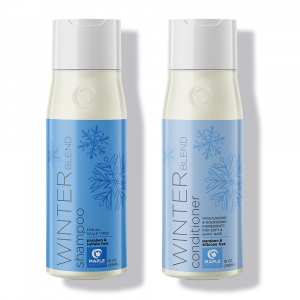 It is one of several fantastic hair care product lines, created by hairdressers for hairdressers. This particular series was (and still is) inspired by the world of fashion, hence the name Catwalk. Look out, blondies! This is our Catwalk Fashionista Violet Shampoo review. First off, this shampoo is not for everyone. It is designed for use only by blondes (natural and dyed), and by those with highlighted hair. 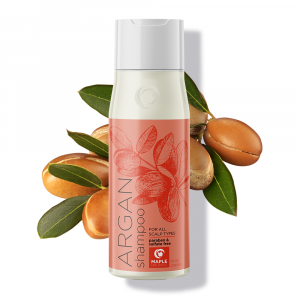 It is meant to be applied to hair which has undergone some sort of colored chemical treatment, and it excels at its job of keeping it well-toned and looking great making it, in my opinion, the best shampoo for colored hair. But that’s just me talking, you’d have to give it a go yourself. Sometimes, brassy streaks begin to appear in lighter-colored heads. This could be due to a number of reasons, but mostly it has two main causes: A – too much sun time, which affects the pigment, or B – a fading dye job, which changes the way the hair looks. Some blondes enjoy having all kinds of different streaks and colors in their hair. If you don’t mind the warmer tones, then this product is not for you. If, on the other hand, you are interested in presenting a more unified ‘hair front’ and sport a solid color, this could very well be the shampoo you have been looking for. Whichever the reason, sun or dye, you need a solution. 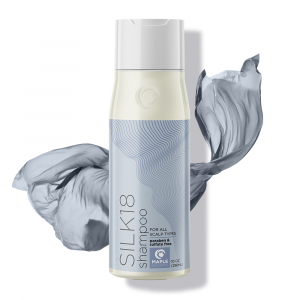 This shampoo is one of Catwalk’s most popular products, and it provides moisture and balance to a head of hair which has already been through some kind of, shall we say, unbalancing. This violet shampoo enhances the lighter colors, and prevents them from fading. It basically strengthens the dye job / natural colors, and makes it so your hair is smoother and shinier for a longer period of time. 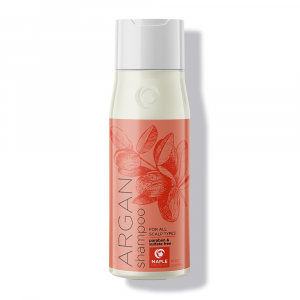 TIGI specifically states that this shampoo can be used daily. This came as a surprise to me, since – In most cases – this is precisely the kind of shampoo which is not meant to be used daily. This statement is true to any violet/purple shampoo, and not just the Catwalk brand. 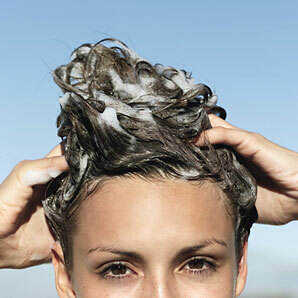 Most purple shampoo guides instruct the user to use it as necessary, and not as part of an everyday hair care routine. If used in excess, this shampoo may begin to dye the hair purple. Unless that’s the color you are going for, it is best avoided. If it IS what you are going for, however… well, there are probably better ways of achieving purple hair. How does this shampoo manage to keep your hair looking better? How does it eliminate those unwanted brassy tones? Simple. It cancels them out. It does this by adding a purple shade to your hair. The purple/violet and yellower/orange tones are opposites. When you apply purple color to yellow, it is effectively neutralized, leaving your hair just the way you like it. By the way – if this is your first time using purple shampoo, make sure to apply it carefully. It could stain your bathtub, your clothes, and your towels with purple coloring. The words ‘violet’ and ‘purple’ are not a figure of speech or marketing buzzword. In the case of this shampoo, it is literally purple. That is simply how it works. Catwalk Fashionista Violet Shampoo is a sulfate-free product. In the list of ingredients, there is an ingredient named Sodium Lauryl Sulfoacetate (SLSA). At a glance, this ingredient looks and sounds alarmingly close to Sodium Lauryl Sulfate (SLS). Here is the main difference between them: SLS is a harsh chemical. Some individuals have gone so far as to call it a skin irritant. It has been reported to potentially cause damage to hair and skin. For this reason – even if you haven’t experienced these effects – it is best to use a shampoo without sodium sulfate for caution sake. SLSA, on the other hand, is safe for use on sensitive and regular skin alike. Generally speaking, SLSA is a much mellower and milder cleanser. It washes off a lot easier, and is considered to be significantly more skin-friendly. Is it perfect? No, but it is a good substitute for SLS. Products with SLSA can cost a little more at times, but the price is totally worth it. SLSA manages to deliver the same lathering experience which SLS provides, but without the danger of your skin being affected by this dangerous compound. After using the shampoo, it is recommended that you use the matching Catwalk Fashionista Conditioner. 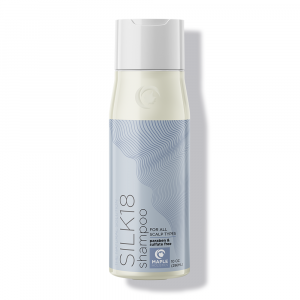 It locks in shine, further softens and untangles the hair, and provides that extra ‘bouncy bounce’ effect which so many people crave. Want to amp up your locks even more? check out TiGi Catwalk Curls Rock Amplifier another great product in the Catwalk line. Listen, we are all interested in looking our best, and Tigi Catwalk can help get you there. Naturally, TIGI is not the only one producing a purple shampoo. Other brands, such as Clairol, Joico, and John Frieda, also produce their own version of the purple shampoo, each with its own set of advantages and disadvantages. These products differ in key elements like ingredients, method of use (daily or not), and overall effectiveness. Finding the right shampoo can be a process which takes time. You may need to test out several brands before you find the proper hair care product which best compliments your hair style, your hair washing routine, your various perfumes or deodorants (scent-wise), and which manages to incorporate any other factors which are important to you. When it comes to hair, you should not compromise. It is a part of you, and an important one at that. Your hair can say a lot about you, and because of that, you should strive to find hair care products which fit you perfectly. The same logic can be applied to items like clothes, jewelry, or makeup. Like it or not, the way we present ourselves is crucial. It is not about vanity or false pride, but rather about being comfortable with who you are. While you’re here at Maple Holistics, read about Catwalk Tigi Fashionista Shampoo and Conditioner! Anyone who has has curly hair will know how much of struggle it can be to get your hair to cooperate. In fact, I think this is largely why so many people prefer to use heat styling treatments as a means of getting their hair under control – but this is not the ideal option. Curly hair tends to frizz out and become drier a lot quicker than straighter hair simply because it doesn’t retain as much of the natural oils that keep straight hair hydrated. By using heat styling treatments on top of that, you only worsen the rate at which your hair dries out – worsening the frizzy, uncontrollable nature of your curly hair. So if you have naturally curly hair, it’s best to treat your curls with a product that helps to get them under control and keep them hydrated. Not only is this healthier for hair – but it will make you look beautiful in your natural state, which is something I think most people would cherish. This is where the Catwalk ‘Curls Rock’ Amplifier by TiGi comes in handy. It’s a product that been around since the mid-90’s, so it’s clearly a good product as it’s been able to stand the test of time quite well. It’s a definite must-have for people with curly hair who want to let their curls grow out naturally, but not have to deal with all the hassles that curly hair can be. To use the amplifier effectively, apply it to damp hair directly after having stepped out of the shower and let the product dry naturally with your hair. So basically it’s towel dry your hair until damp, then comb to help separate the hairs, then apply the amplifier and let your hair dry naturally over the course of the day. You’ll find that your curls are more defined after using the amplifier and that your hair feels smoother, lighter and more hydrated over the course of the day. This means it shouldn’t dry out as quickly as it normally does and will help to keep frizz and tangling under control (or at least, make it easier to do so). I’ve been using this product for years and have always had positive results. As someone with naturally curly hair, it’s a lot easier for me to use a hair product to get them under control, rather than heat styling treatments. I would highly recommend this product to anyone with curly hair! Blondie’s Of The World – Unite! If you want to keep those brassy tones out of your hair, and enjoy your chosen colors for longer, get your hands on some of TIGI’s Catwalk Fashionista Violet shampoo. It has helped countless blondes around the world, and it can do the same for you. Not your cup of tea? Keep searching and experimenting. 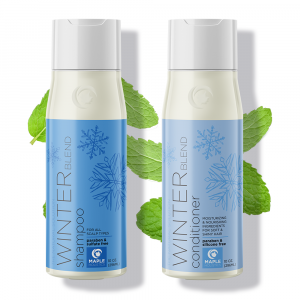 You are sure to find a shampoo and conditioner which match your expectations, your price range, your hair care regimen, and your personal type of hair. Catwalk isn’t the only line Tigi produces. Their Tigi Bed Head is complete with shampoos and conditioners like produced with your hair health in mind. Check them out! With so many different products I’m sure you’ll find something that works for you. Stay cool, stay fun, stay blonde!